The stable cube creates CONINCO family with the utmost admiration of quality and perfection. Logo's plane figure expresses the desire of "sustainable development, assurance for the future" philosophy to be spread worldwide. Vision: With the guideline "Global vision - Realistic action" and "The larger vision - The more effectiveness" in resolving complicated problems with simple methods. Connecting people with gravity as the world is created by gravity, becoming a link in the chain of global leading trademarks. Means building foundation of all other values, it is also the basic factor to creat a stable brand name. 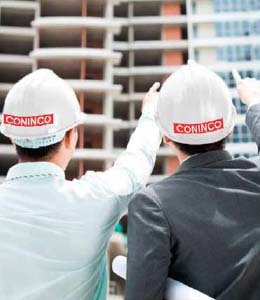 CONINCO raises Clients' trust, builds prestige, provides Clients with reliance, conscientiousness, and royalty. Providing Clients with the most convenient effective solutions while tending toward stable value for community and for the future. 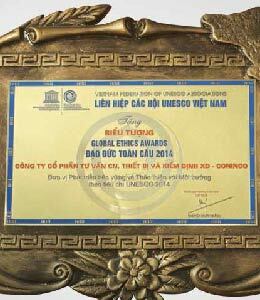 Where the staffs are respected, all employees think, do, and act with strong determination to enhance the trademark. 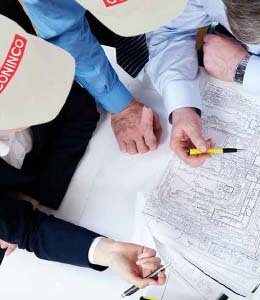 Each employee embodies CONINCO's culture and brings it to Clients and the community. 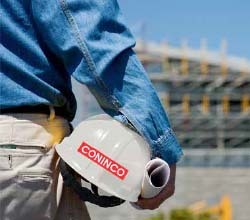 CONINCO's staff are usually encouraged to be creative, to promote their abilities and not to fear failure. In addition, they are stimulated to think that "I can do it" in order to strive to win themselves, satisfy with their curiosity, and consistently seek for answers for the assigned tasks. Only the love with our jobs can help us gain success. Regardless of being a leader, a doctor, an architect, or a service employee in CONINCO, each person always tries his or her best to create a personal brand and an indispensable position. 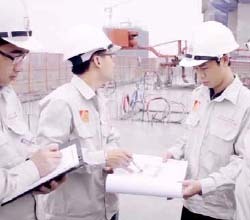 Therefore, any Client coming to CONINCO Company and experiencing our services can realize the effort, enthusiasm, profession, and distinction that CONINCO provides. 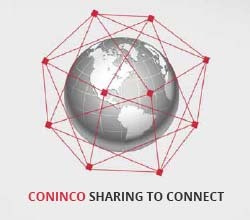 In the CONINCO family, each CONINCO's employee is a base of ADN chain having CONINCO's "gene", which make CONINCO different from other companies. All staff will share challenges, overcome difficulties and gain success together. These are what CONINCO is trying to build its own strength. Let's share knowledge and experience! Sharing is development, life also stems from sharing, and only sharing and knowing to share can help us live forever. That is the philosophy during CONINCO's operation and development.